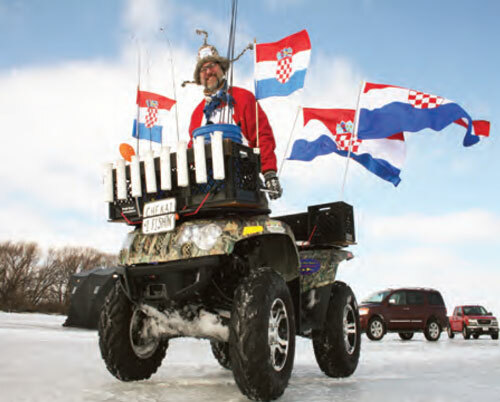 Chekai - CJS Tungsten jig designer, Croatian Sensation, snappy dresser and Brother of the 4X4! The Chekai (Pron. “check-eye”) Jig sports a popular tungsten head design, a superior non-chip epoxy paint scheme, an ultra-sharp Owner hook and a paint free eye. NAFC pros Kevin Fassbind and Nick Smyers have a proven tournament track record with Custom Jigs & Spins baits. With countless top finishes under their belts, NAIFC pros Kevin Fassbind and Nick Smyers have proven year after year that they are two of the best ice sticks on the planet. They can do it all: long rod, palm rod, straight line, tight line, and every technique between. Not only that, they’re great guys … so we’re proud that they continue to choose Custom Jigs & Spins products to get the job done. “Historically, my confidence bait is a 3- or 4 mm Custom Jigs & Spins Tungsten Chekai. 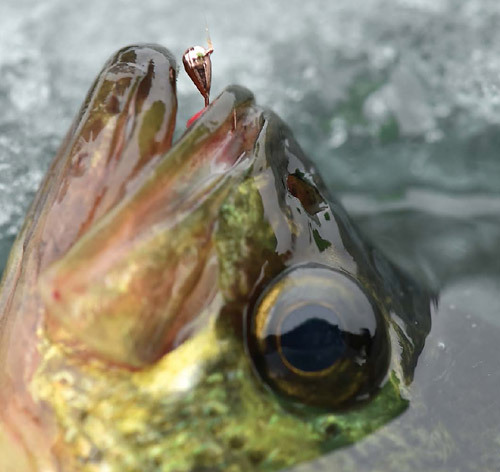 A lot times, a 3 mm with a pink Ratso body cut in half and fished on 2-pound fluoro is just the thing, especially during cold weather or on pressured waters,” says Wisconsin-based Kevin Fassbind. But for most situations a size 12 4.5mm Pink Glow Chekai with pink Ratso body is Fassbind’s go-to crappie weapon. Partner Nick Smyers is a big fan of the 4.5mm firetiger Chekai, especially for extracting tournament perch. “The Chekai has the drop speed I need to fish fast and the hook quality is super good. My hookup percentage is definitely higher than other jigs. Add a Custom Jigs Finesse Plastic and I’m never touching the combo to re-bait. It’s all about keeping your line in the water and pulling fish,” says Smyers. The deadly duo has also discovered a consistent way to crack big bluegills, ’seeds and hybrids on the trail: size #10 and #12 Majmün tungsten jigs, typically in purple, and tipped with a CJS Finesse Plastic, Wedgee. “On our custom long rods nothing beats the Majmüm for fishing fast, getting bit and making solid hooksets. The hookgap is exactly what it should be. And ’gills just love it,” says Smyers. There are many imitations to the Chekai but only one of this quality and fish catching ability. The hooks are strong and sticky sharp. Great colors that resist chipping of the paint. You will not be disappointed. 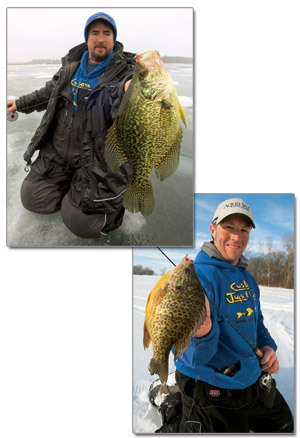 The Chekai Tungsten Ice Jig is great for large bluegills and crappies. Used the chekai tungsten jigs for the first time on fall crappie. They sink faster than lead jigs which saves time when they're in tight schools and biting. They worked great. My buddy and I caught about 40 crappie and 30 bluegills with them today. Looking forward to trying them for trout under the ice. Very happy with these jigs,fished them last winter and outfished the folks I was fishing with 3 to 1. Good Jig, one of the options that white fish seems to like or attractive them to the bait.